What Are The Requirements To Remove an Asbestos “Popcorn” Ceiling ? 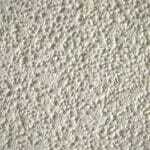 Regulations for removing "popcorn ceiling materials" depends on whether you're a homeowner or a contractor. Know them before you start. How to discover if your home has asbestos in it. Pop-corn ceilings, do I need to remove them? What does the EPA say ?